On a last minute trip to Coney Island’s Luna Park this afternoon, I had an “aha” moment. Let me give you a little background information so you can understand my feelings. I am not what you call a “lives on the edge” kind of person. I probably was, back when I was a teenager, but those days are far gone. I am not a rollercoaster person either. I do the little coasters with my daughter just because I want to share those special “moments” with her. 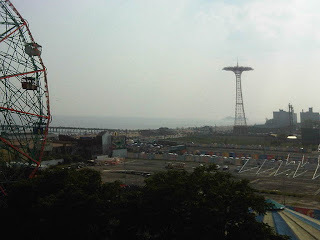 This afternoon, my family and I, visited Luna Park at Coney Island a place filled with great attractions. Some more interesting (meaning scarier for me) than others. For example, the Brooklyn Flyer, a swing that takes you up to 100 feet high. Your adrenaline pumping yet? Which translates to me as “really scary”. Our family got the tickets and we stood on line to get on the ride. As always, Mara was very excited and totally up to getting on the ride. She makes me so proud. She is so brave and daring, I’m kind of the opposite. Little does she know that her braveness also makes me brave. We teach our kids and they teach us too. 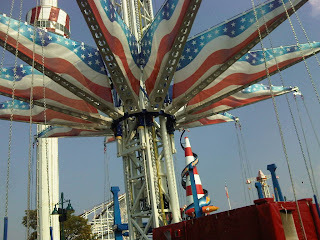 So I got on and right before the ride took off and rose up high into mid-air, I was REALLY nervous and anxious — but I let go. It was beautiful up there. 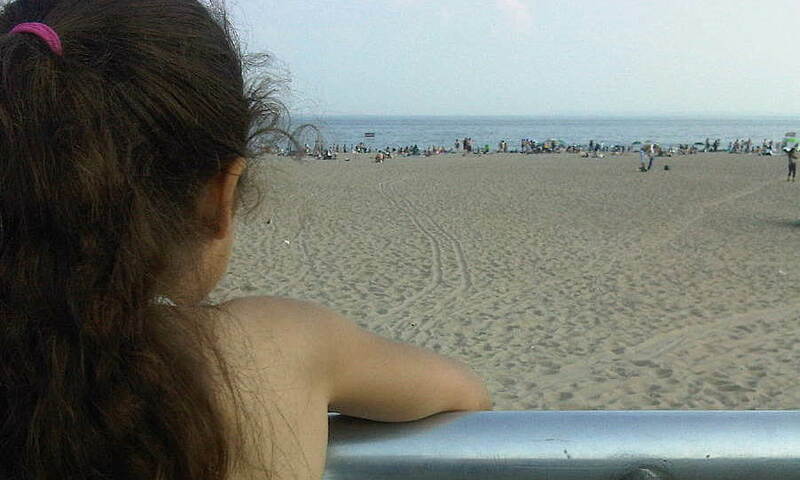 The sea breeze felt great. My senses were at an all time high! I really enjoyed it but it also made me realize what I would have missed if I let the opportunity pass me by, and I applied those same curcumstances to my life. Sometimes we have to take risks and make choices that at first feel weary or scary but who knows the wonders we would miss if we let it pass us by. 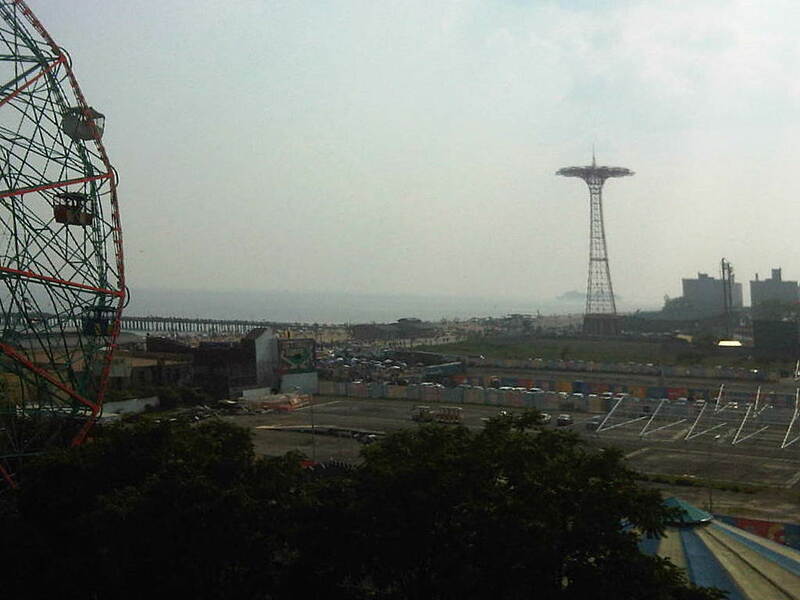 This photo was taken from the Brooklyn Flyer. Sometimes we feel like we can’t be strong enough or won’t be brave enough to go forward but we all have it in ourselves to let go and fly — and boy does it feel good up there! Be the best you can be and don’t ever underestimate yourself. You are your biggest obstacle, once you overcome your fears the rest is easy. « Be a DIVA! Have a DIVA Party!